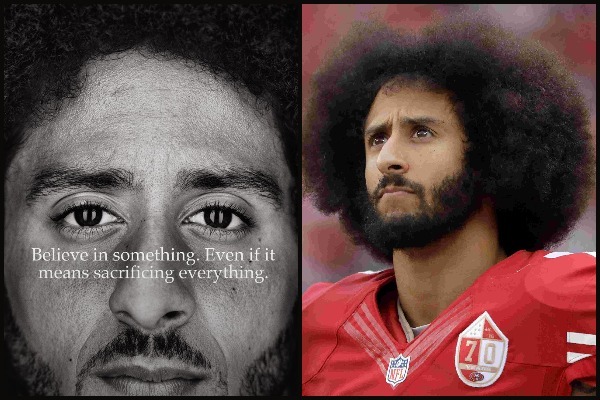 Marking 30th anniversary, “Nike – Just Do It” new marketing campaign ad stirred a huge controversy after Former 49er Colin Kaepernick narrates “Believe in something, even if it means sacrificing everything” with reference to his kneel down in 2016. Global sports brand Nike roped in former NFL player Colin Kaepernick for new marketing ad to mark it’s 30th anniversary of its iconic “Just Do It” tagline. The new Nike ad featuring Colin Kaepernick became an instant internet sensation and drew controversy from Donald Trump too. It didn’t even take minutes for an ad to go viral, where Colin and Nike started receiving backlash and support, both. In 2016 NFL preseason game, Colin Kaepernick decided to kneel rather than stand for the national anthem to silently protest racial injustice and became activism. Since then, he is not signed with any NFL team and he alleged that NFL and it’s owners conspired to prevent him from getting signed to a team. The matter is reached to the court now and hearing is expected somewhere at the end of year. Serena Williams, LeBron James, DeMarcus Lawrence, DeMarcus Ware and other local athletes came in support of Colin Kaepernick. The new Nike ad featuring Colin Kaepernick is displayed on top of Nike’s store in San Francisco. The controversy dropped Nike’s shares on wall street by 3 percent on Tuesday, however it recovered a bit on Wednesday. While some are burning a pair of Nike shoes on social media as an act of boycotting Nike, some are questioning Nike’s motive for stirring political wave. one group estimates that Nike have already received more than $43 million worth of media exposure, much of that positive. After receiving a mixed bag of voice, Nike releases a new 2 minute video ad which says”Dream Crazy”, ” chase your dreams”, which they will play at NFL Season opener tonight. 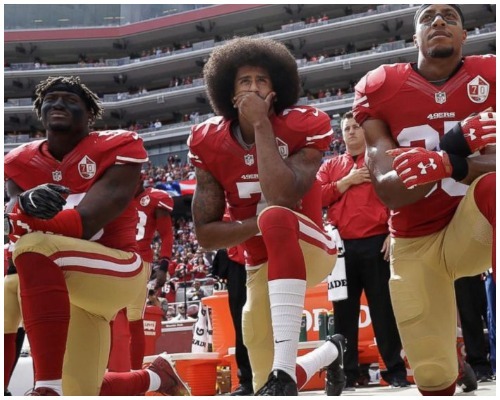 The video is narrated by former San Francisco 49ers quarterback Colin Kaepernick with no political string attached with it and has no agenda of supporting Kaepernick’s cause of racial injustice. Isn’t Nike a real smart in gaining brand image with even controversial sports athlete without directly talking about his controversy. Nike is all planning to use his image to launch new Kaepernick apparel, including shoes and T-shirts. Do we all see that Colin Kaepernick is rose to fame as social image and Nike has been a strong platform for it. We think Colin may never want to go for NFL and become a face for change and bringing racial justice. What do you think? Share your thoughts in the comments box.